You are at:Home»Posts Tagged "online vet"
Dog allergies are one of the most common conditions affecting dogs. 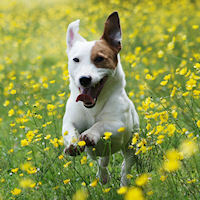 Dog allergies can be very frustrating for both yourself and your dog. The constant itching and scratching, paw licking and chewing, skin rashes or chronic ear infections can make life very unpleasant.